It was once thought to only exist in legend, but a terrifying river that can boil its victims alive has been discovered in the heart of the Amazon. 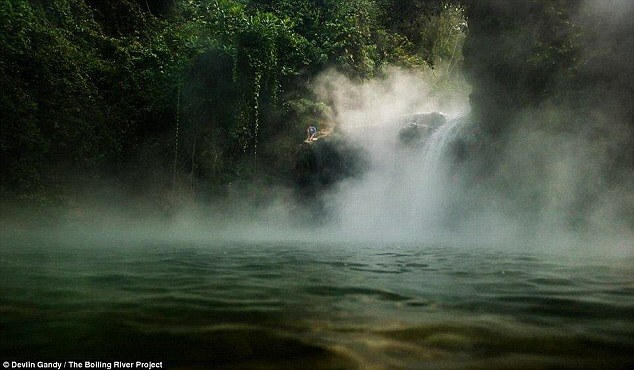 The river was brought to the world's attention by a scientist who believed that the legendary geothermal formation couldn't possibly be real. Now, he has shared video clips which explore the region's breathtaking uniqueness in a mini-documentary. 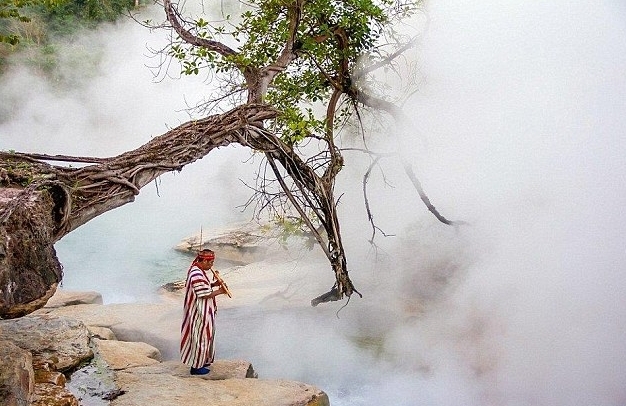 Andrés Ruzo explored the river, in the Mayantuyacu region of Peru, in a short film produced by Great Big Story. The name of the river, Shanay-timpishka, means boiled with the heat of the sun in the language of the area's inhabitants. The geoscientist says the heat of the air coming off the river is so intense that you can feel it burning in your nose and your lungs. Speaking in the footage, Mr Ruzo said: 'The hottest temperature I've measured is 210°F (100°C). 'To put that into everyday terms, the average coffee is roughly 130°F (55°C). 'It's hard to physically imagine that much hot water. 'You stick your hand in, and you will see second or third degree burns in a matter of seconds. The river has long been a legend in Peru, but when the geoscientist heard about it, he thought such a phenomenon couldn't possibly exist. 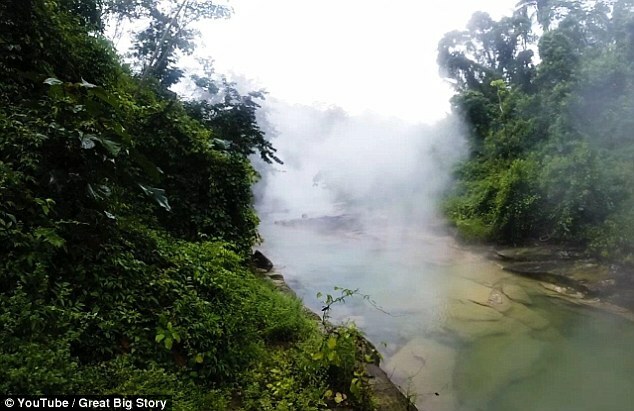 He believed that it would require a huge amount of geothermal heat to boil even a small river, and the Amazon basin is far from any active volcanoes. 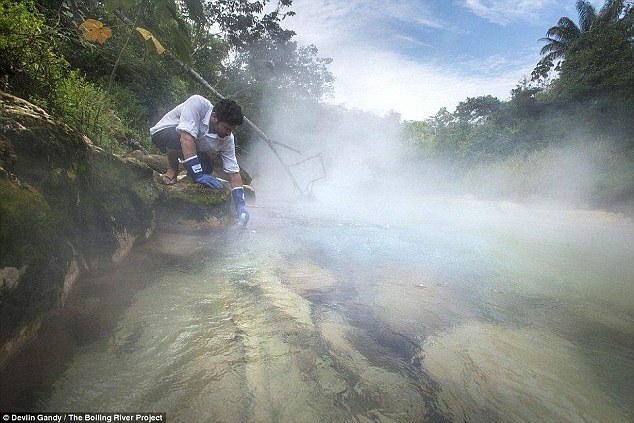 Responses to "Scientists find mythical 210°F boiling river in the heart of the Amazon"